Audubon Nature Institute’s sustainable seafood program, Gulf United for Lasting Fisheries (G.U.L.F.,) is celebrating the bounty of the Gulf of Mexico all summer. 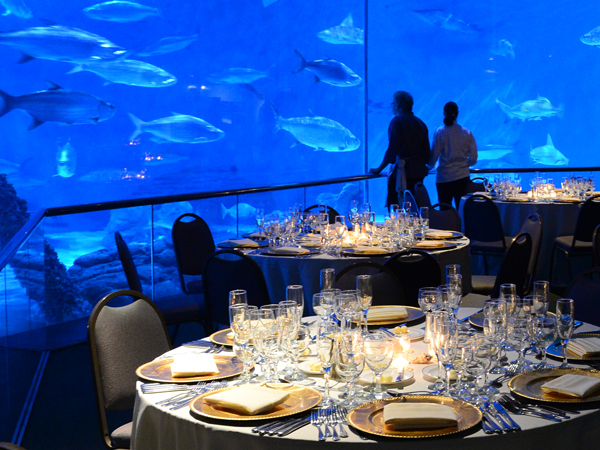 The fourth annual Summer of Sustainability dinner series will be hosted at Audubon Aquarium of the Americas in 2019 and features the chefs of the G.U.L.F. Chef Council and Restaurant Partnership Program. G.U.L.F. would like to formally invite you to join us for an evening of edible education, with proceeds going to benefit Audubon’s sustainable seafood efforts across the Gulf Coast. Fabulous multi-course meals prepared by New Orleans' finest chefs in a unique and beautiful setting. Dine in front of sharks, stingrays and schooling fish! Wine pairings, tax, and gratuity are included. Intimate dinners with limited seating will give diners a chance to meet the chefs who have created the amazing dishes with the freshest catch of the day. When: Summer 2019 dates are coming soon!